Today is the first morning I’ve woken up with nothing definitive that I have to do. It’s been a whirlwind since I arrived home last week: my grandmother’s service, my nana’s 99th birthday, celebrating my cousin’s pregnancy, picking Nick up at Salem, bringing Steve to the airport, bringing my parents to the airport, bringing Nick back to Salem … People keep asking if it feels strange to be home. I don’t think I really realized I wasn’t leaving again until today, now that everything has calmed down and there isn’t anyone here who needs me. And it’s ok. I say I don’t have anything to do, but that’s pretty much never true. I already have plans for nearly every day this week. And I only have a month left of the leisurely life: I’ve just accepted a job, so it’s back to work on January 3. As I said before, I didn’t want to return to the corporate world unless everything fit – the job, the people, the overall package, the timing, the location – and it all seems right. I’m very excited about it; it’s a really challenging opportunity doing all facets of communications. I really can’t wait to get started! So I need to take advantage of this next month. Ultimately, I want to move into the city, but I have to sell the house first. It’s off the market for the winter. I have a lot of decluttering to do! It’s also Christmas time, of course, so plenty to do there. And I have to pay a visit to Volvo – it wasn’t poor Aidan that broke, but the power outlet in my car. My, this month is going to fly by! But before I delve into all my new to-do lists (Nick just showed me an article where Heidi Klum talks about all her lists – he pointed out I’m in good company), I have another list I want to share: my lessons learned. I’ve spent much time reflecting since I realized the road trip was ending. What was the point of this? Am I changed at all? Did I learn anything? 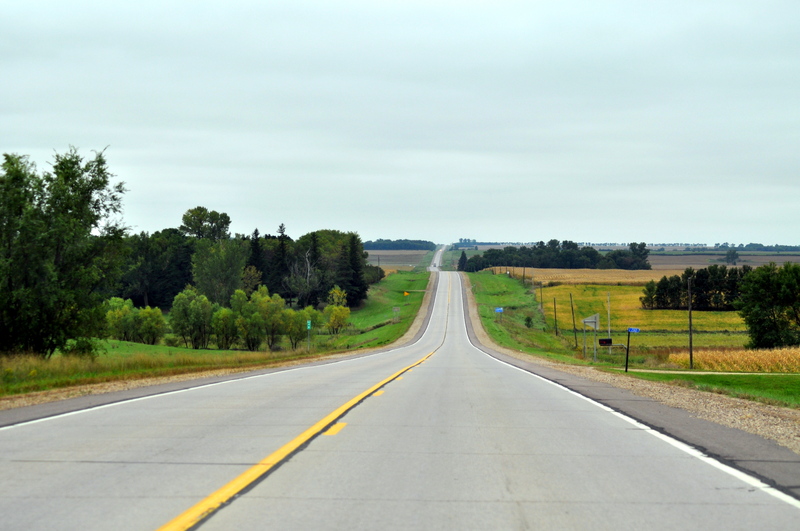 Well, there were many reasons to go on the road trip – first and foremost to see the country. I think I did a pretty good job of that. I caught up with friends and family around the country. I tried to quell the ’empty-nest’ syndrome. I also was exploring my ‘what if’ – and got my answer. Never say never. I am pretty stubborn, so when I say never, I mean it. I now know I can’t say never any more (even ‘I’ll never get married again.’) Life changes too much for anything to be that definitive. You need to be flexible and go with the flow. You need to adapt to what life throws at you, and not stick with something just because you’re too stubborn to admit it might not be the best thing for you (or others) any more. If you want to do something, just do it. You can do anything you set your mind to. It doesn’t matter who you are or what your situation is. Yes, there will always be obstacles, but think it through and you can get around them. And there will always be reasons not to do something, but if the good outweighs the bad, go with it. There were so many reasons NOT to go on this road trip. I’m so glad I made it happen anyway. You can never have too many friends. If it weren’t for all my friends and family spread throughout the country, I couldn’t possibly have taken this trip. Thank you all – it was so good spending some time with you, although most visits were too short. Please know there’s always a bed for you in Massachusetts! Your kids may leave home, but they always need you. I should’ve known that one – I always need my parents. Good thing I have four of them! Life isn’t a fairy tale or a romantic comedy. Sure, if we’d yelled ‘cut’ on October 4 or 5, it would’ve had the perfect happy ending. They’re only classified romantic comedies because of when the movies end. If the cameras keep rolling after the dream kiss, reality sets in. Then they become dramas. Or tragedies. Distraction can help you get over hurt, but it won’t cure it. Only time can do that. And with time comes clarity. The person you thought was Rhett may just be your Ashley. Everyone has a story. And they are all fascinating. Ask questions. Get to really know someone. Even someone close to you, who you thought you knew. You may be surprised. It was wonderful exploring different places and taking pictures of everything from Mount Rushmore to the Pacific coast, but it was the conversations I had along the way that really made the trip. Boston is where I want to be. At least for right now. I’ve spent too much time away from all my loved ones here. I need at least a few more years with them before I try living elsewhere again. And I love this city, from its sports teams to its history to its location on the coast. Everywhere is worth visiting. Depending on your time limitations and your interests, not everywhere is worth driving out of your way for (like the Mall of America for me), but every state has something special to see – even if it’s as simple as an old farmhouse or a Superman statue. It’s nice to do some things alone, but sometimes it’s just more fun to have a partner in crime. I am very glad I took this trip by myself, but am also thankful for the times friends played tourist (or tour guide) with me. Route 66 is definitely worth its own, separate trip – just map it out first, because it’s not easy to follow. And it is easy to lose! You can drive any distance if you have the right soundtrack! Good music – with a few good audio books thrown in – make time fly. And there is a song for everything. Especially country songs. 83 days is not long enough to see the entire country. I don’t know if you could ever see everything! There are so many places I missed or want to go back to because I simply didn’t have enough time. I don’t know how people make cross-country trips in a few weeks – how do you see anything??? I’m going to start making the list of places still to see on this site soon – Amy’s America will continue, just in small spurts from now on. I also plan to see more local sites. All suggestions welcome, as always. And I’ll be sure to write about it all here. Amy, I have thoroughly enjoyed reading about your trip and all your adventures. It definitely sounds like a trip worth taking. Congratulations on your new job! I hope it’s everything you want it to be and more. ok — you’ve sure covered it all except — where is the job?